A nice little surprise for E3, perhaps? Is Hulu heading to Xbox Live soon? Microsoft is rumoured to be bringing TV streaming service Hulu to Xbox Live, according to reliable sources. US Xbox users can already access Netflix, while Sky subscribers in the UK can access the Sky Player service via their consoles. Microsoft also announced Facebook and Twitter integration on Xbox Live last year, so it would make sense for them to announce a few more online entertainment surprises at E3 later in June. TechRadar has contacted Microsoft UK for further comment on this story. 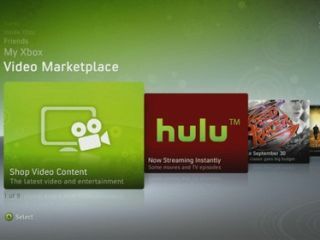 The rumour emerged from Gear Live, who are claiming that Hulu has been seen in internal Xbox 360 dashboard builds, and that the streaming video service will be unveiled as part of the new and improved Xbox Live experience at E3 2010. If true, then US Xbox gamers are going to want to know one thing. Is it going to be free? Or will there be additional subs charges involved in the deal? E3 kicks off in Los Angeles on 13 June. We'll be bringing you all the major news announcements as they happen.